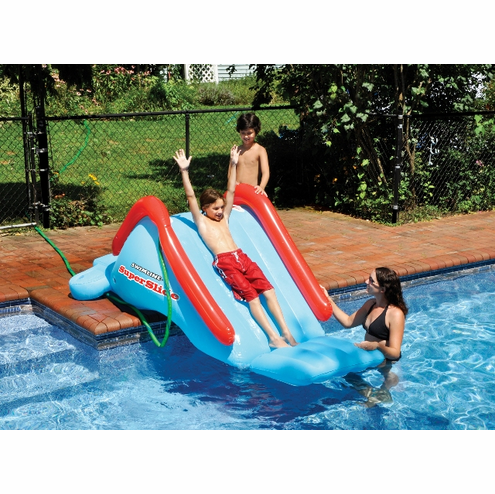 Swimline's Super Slide provides hours of slippery fun for kids!. Complete with built-in climbing steps, grab handles and safety rails. Superslide come with a garden hose attachable, adjustable spray head to keep the action moving.. water weighted for stability. Easily set up and take down this Super Slide in just minutes! for the pool, lake, or river. 150 lb. weight capacity. Dimensions: 99-1/2"L x 68"W.